Meet the roasters, learn about the origin of the finely crafted beans and warm up with a cup of some of the best java around on the new South Sound Coffee Trail. 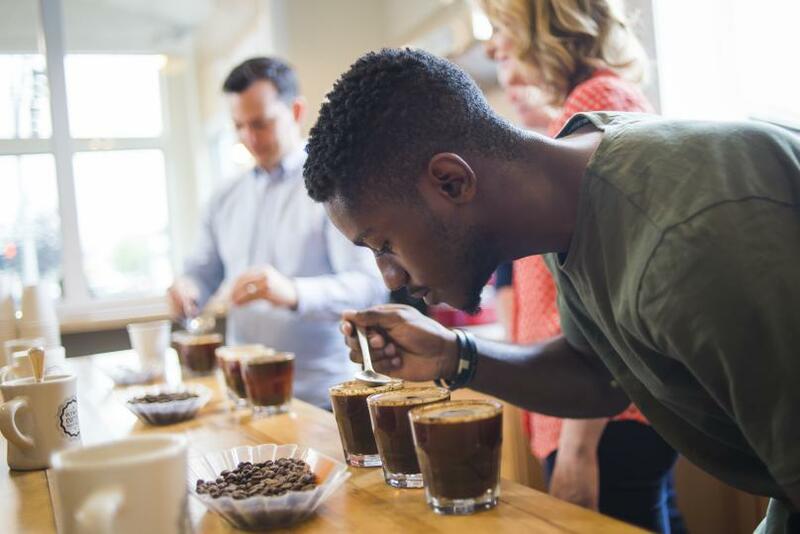 This self-guided tour explores all things craft coffee in Washington’s capital region. Find Tastings and Cuppings. Stop by the Batdorf & Bronson tasting room to sample a variety of roasts or take a cupping class at Batdorf & Bronson or Olympia Coffee Roasting Co. to learn about each coffee’s origin and flavor profiles. Define Your Coffee Style. Whether it’s latte art, ambiance or aroma that’s most important, an infographic style quiz leads sippers to which local java may jive with their coffee style. Take the quiz here. Batdorf & Bronson, Olympia Coffee Roasting Co. and Olympic Crest Coffee Roasters. Visitors can find details on each café and roastery, along with tried and tested tips from locals and the roasters. Don’t miss the house-made Madagascar Vanilla at Olympia Coffee Roasting Co. or the Dancing Goats Roast at Batdorf & Bronson. The Olympia region is home to local coffee roasters who pride themselves on their craft. Visitors like you can now fully immerse yourself in Olympia’s coffee scene now that it’s more accessible than ever before. Spend the weekend and find dining, lodging, events, festivals and entertainment ideas at www.experienceolympia.com. Make sure to share your adventures with us by tagging social posts #DecidedlyDifferent and connect with us on Facebook, Twitter (@Experience_Oly) and Instagram (@ExperienceOly).